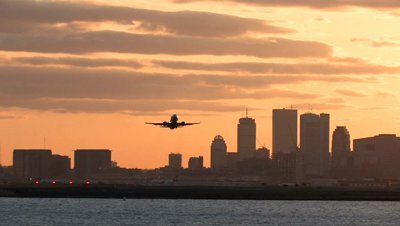 Home > Logan > Limo Coupon Deals to the Airport? Limo Coupon Deals to the Airport? Have you ever seen one of those attention grabbing coupon offers for discount rides to the airport? While a lot of times the costs are marked up so they can be discounted…What they typically fail to mention is that you need to add gratuity (usually 20% of the original cost), tolls, fuel surcharges, administrative fees and Massport fees. Suddenly, the great deal is not so great. We got a Groupon today for example, with this fine print: cancellation fee may apply. Extra fee outside of service area. Extra $20 fee for services 12:30 a.m.-4 a.m. Gratuity not included. Those extra fees and “not includeds” can add up pretty quickly. Just adding the gratuity and off hours fee is $76 extra. If you add a surcharge for service area, tolls and fees, suddenly you’re paying $100 more than the advertised price. We don’t roll that way. Le Limo gives you an all-inclusive price when you book with us. Our quote includes tolls, recommended, but not mandatory, gratuity, transportation charges, admin fees, etc. It’s all in our quoted price. To build a reputation for quality and luxury for more than 30 years, you have to treat the customer with respect. That’s just the way we do business…always have. Call us 24 hours a day at 800.287.8970.